Alfa Romeo Giulia Quadrifoglio Running Costs, MPG, Economy, Reliability, Safety | What Car? Nobody enters into ownership of a performance saloon under the impression it'll be a cheap experience, but few want to be caught throwing money away. The Giulia Quadrifoglio costs a little more than a BMW M4 but slightly less than a Mercedes-AMG C63, and its standard equipment is up there with both. Indeed, there’s no need to go crazy on the options list; 19in alloy wheels, adaptive dampers, xenon headlights, leather and Alcantara seats and cruise control are some of the luxuries included. Expect high servicing costs and frightening fuel economy (the Quadrifoglio averaged just 23.5mpg in our real-world True MPG tests). Looking further down the line, the Giulia Quadrifoglio should depreciate slower than the C63 and M4, which helps keep PCP finance rates competitive. Since all these cars cost a similar amount to buy and produce hefty CO2 emissions, there’s little to choose between the Giulia Quadrifoglio and its rivals when it comes to company car tax costs. With six airbags, automatic city braking technology with pedestrian detection, blindspot monitoring and lane departure warning fitted as standard, Euro NCAP awarded the standard Giulia its full five-star crash test rating. 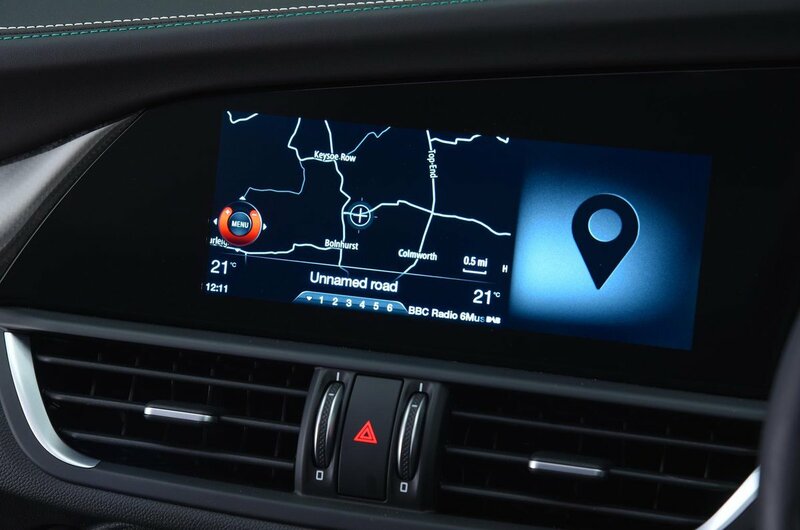 Security firm Thatcham Research also had good things to report, rating the Giulia Quadrifoglio as excellent at resisting outright theft and good at resisting break in attempts. 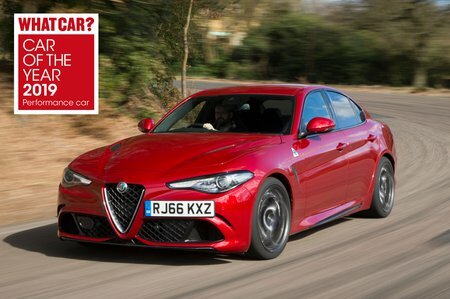 Surprisingly, given Alfa's less than stellar reputation for reliability, the Giulia scored higher marks than any other executive car in our most recent reliability survey. The survey didn't specifically focus on the Quadrifoglio, but it's nonetheless encouraging. 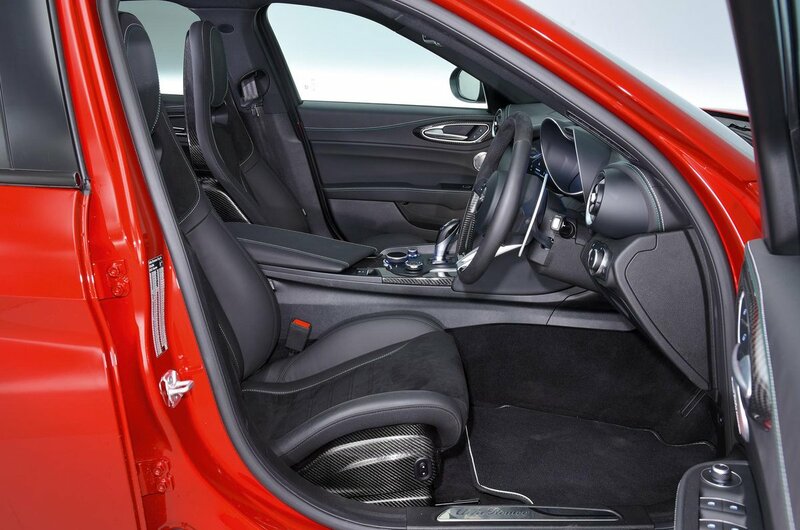 Like all Alfa Romeos, the Giulia Quadrifoglio comes with a three-year warranty that has no mileage limit. To drive, the Alfa Romeo Giulia Quadrifoglio is as good as performance saloon get, even if it’s not quite as plush inside as its best rivals. It might not sound as brutish as a Mercedes-AMG C63 AMG, nor be as capable through corners as a BMW M4, but it's more rewarding than both – and surely that's the whole point of a car like this?